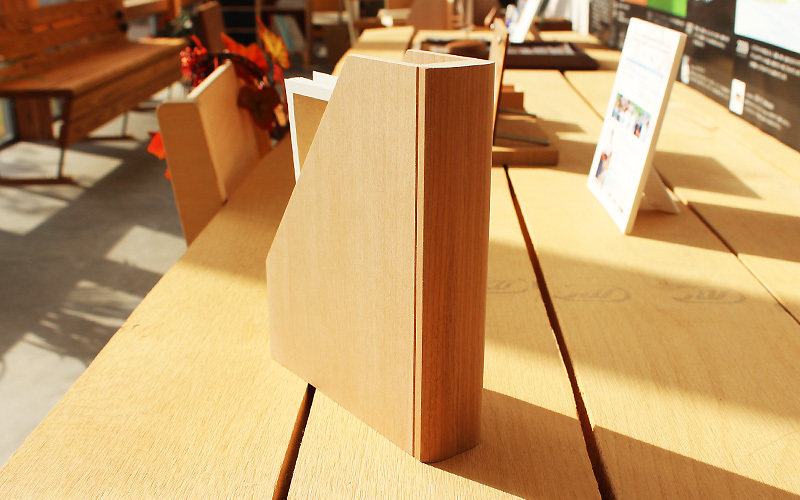 Filing your cards in this stand in the shape of a book is an easy way to organize them. 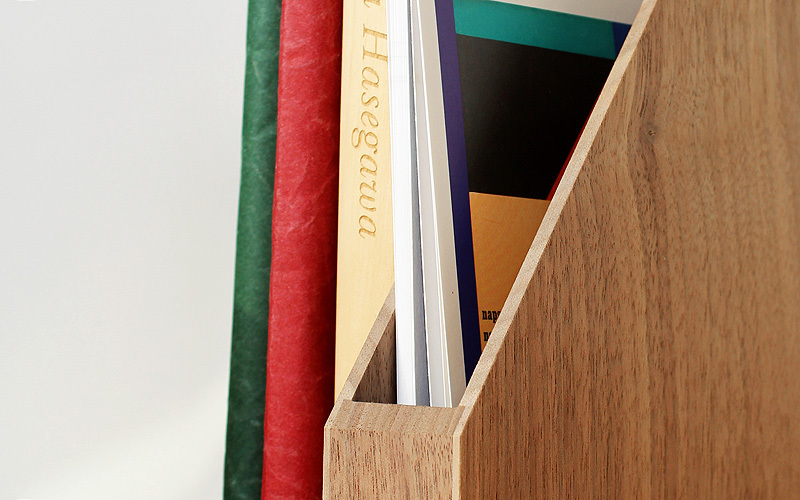 By labeling the spin of this stand, you can tidy up your post cards for easy pick and put them back onto a bookshelf at once. 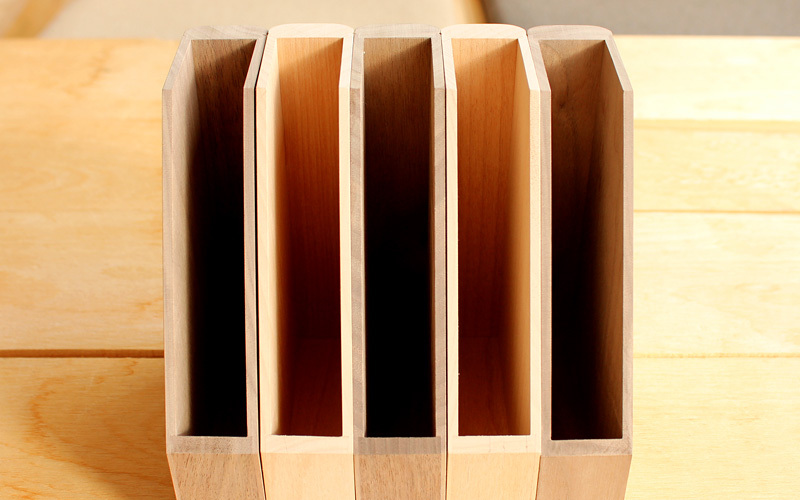 With this wooden organizer, your greeting cards can be stored between books without leaving them scattered on your desk.